ST. GEORGE — An afternoon accident occurred on St. George Boulevard Friday when a full size F-150 pickup truck rear-ended a compact Ranger pickup, sending the Ranger into a brick wall. 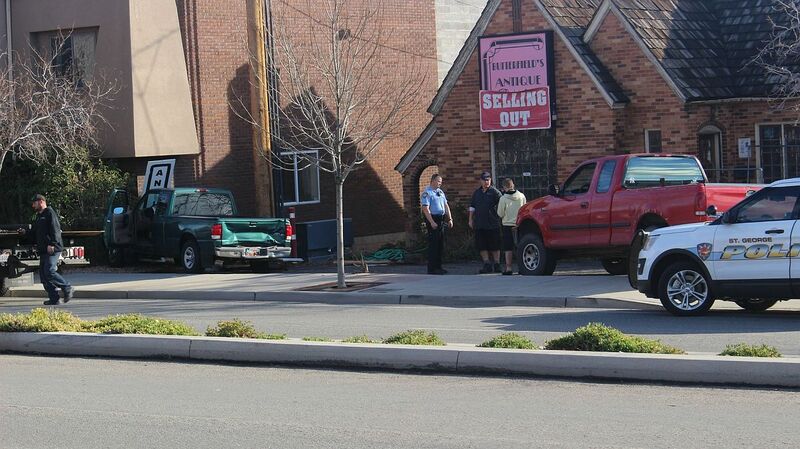 The Ranger was eastbound on St. George Boulevard about 2:30 p.m. preparing to turn right into an antiques business, St. George Police Sgt. Sam Despain said, when it was struck in the rear by the F-150 being driven by a male juvenile. 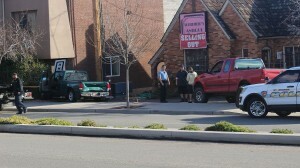 The impact thrust the Ranger into the sign at the front of the building where it came to rest against a brick wall of the adjoining business. Damage to the building was minimal, however several signs were destroyed. The Ranger’s driver, an adult woman, was transported to Dixie Regional Medical Center in St. George with complaints of chest pain due to the airbag deployment in her truck. The driver of the F-150 was cited for following too close. Traffic on St. George Boulevard slowed for about 30 minutes due to the incident. 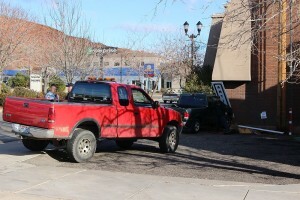 The F-150 was driven from the scene, while the Ranger had to be towed due to damage. Units from the St. George Police and Fire departments and Gold Cross Ambulance responded to the scene.